OLD PARKED CARS. 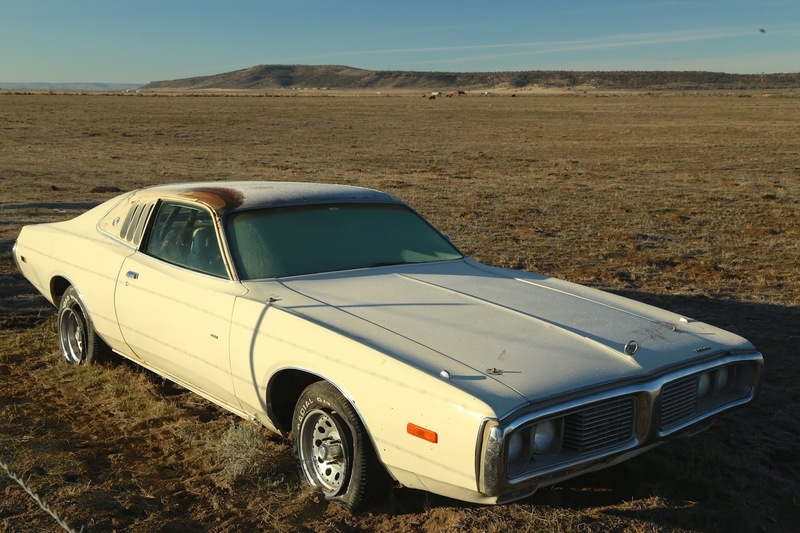 : 1973 Dodge Charger. Is that Oregon? The last picture makes the car really looks sleek and mean. I had a 73, about that color. Minus the tires off the bead, and the bad rear pan there. Ah, memories! @richard--yes, deep southeast oregon. nevada, almost. Is this down by Steens Mountain, just outside Fields, Oregon? indeed, frank. by malheur lake. Charger SE. Was never crazy about that quarter window design but the rest is still pretty sweet. Is that a roll cage lurking in the back seat? Would love to know how that rear splash pan damage happened got a feeling beer was involved. Cool, Thanks Tony...that's one of my favorite places in Oregon! Lots of open roads down there. The last time I was down there I drove a 2006 Lincoln LS and hit the top speed governor of 136 mph on a couple of stretches between Burns and Frenchglen. I live in Portland and am happy his old charger probably ran hard out in that country. I hope it had a good life and am glad some PBR swilling hipster isn't driving it around Portland. 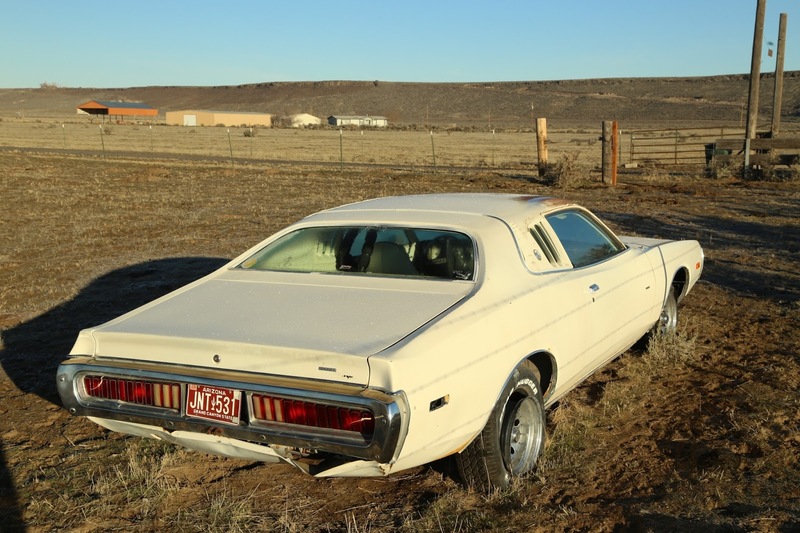 I see that the oversized bumper guards of the 73 & 74 Charger are missing here. 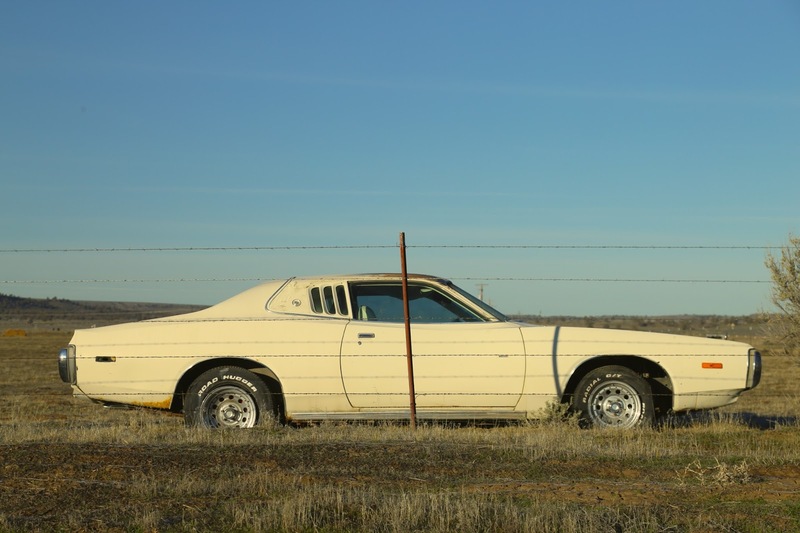 Most, if not all 73 Mopars featured very large bumper guards front and rear to pass the federally mandated 5 mph requirements. Say that's a fairly long bonnet. The longest one in any production car? Beautiful pics, the car fits the setting perfectly. Look at how vast and open the surrounding landscape is.